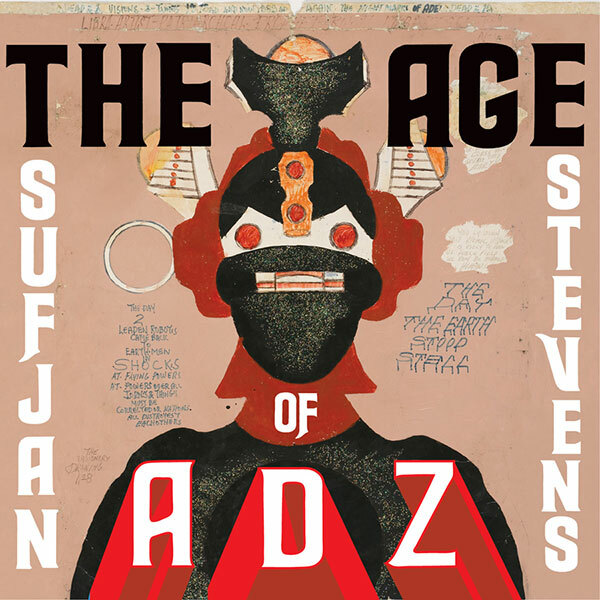 Sufjan Stevens has finally let us know what he’s been doing for five years (well, other than those BQE orchestral maneuvers in the dark–pardon us while we Stravinsky, Janacek or Reich instead). After a few listens to this odds-on-favorite, we hear Stevens elevating and evolving yet again, and confirming his station as one of America’s best songwriters. Yes long gone are the banjo and the whispered hush. But in their rightful place we find a comparatively additive and adventurous sound, with marvelous machines, strings, horns aplenty, side-chaining and clips and pops. And all coupled with riskier deliveries and deliverances. There’s even (horrors!) a cuss word or two. But despite the hubris and hub-bub, we mostly just find more magisterial melodies and revelatory vocals and lyrics. Sufjan’s back, folks, so let the confetti fall from the sky. Check out the title track, The Age of Adz, and go out and buy what is likely one of the Top 5 (if not the top) records of the year. We can’t tell if it’s the maker or the made, but the singer knows. Gloria, Gloria. Glorious. Dark night of the soul indeed. We wonder what Saint John of the Cross must be musing as he assays the modern use and abuse of the phrase he coined to describe a point in a “pious” person’s life when they are struggling to commune with God, and take painful steps to attain that union. Is the modern use emblematic of a heartfelt yearning or only a counterfeit, sonorous borrowing? Or somewhere in between? Regardless, the “Dark Night of the Soul” at issue here is a record comprised of a generally ghoulish goulash featuring songs written and produced by Danger Mouse and Sparklehorse’s Mark Linkous. DM and Sparklehorse are amongst our favorites, and coupled with the likes of Wayne Coyne, Black Francis, Iggy Pop, Chestnut and Suzanne Vega, this is an effort worthy of one’s attention. The record was initially scheduled to be released in 2009, but a legal dispute (imagine that) with EMI delayed its release until recently. In the interim, sadly, Linkous and singer-songwriter contributor, Vic Chestnut, committed suicide. OK, we get the seriousness of the borrowing and the message, though clearly a few of these borrowers lost the elemental thread along the way. For us the record lacks contrapuntal levity and light to provide a respite from the seemingly heartfelt but relentlessly dour dominion. For others, though, addressing the darkness might provide much-needed catharsis. We defer to your needs. Danger Mouse and Linkous got together (again) in 2009 to work on a set of songs that Linkous apparently didn’t feel comfortable singing himself. So they recruited an impressive list of singers to provide vocals and lyrics. While all the guest performers express much of themselves, the melodies and mien are unmistakably Linkous’. Even with other people’s words on top of it, the music is primarily plaintive, and reveling and wrangling with an endangering darkness, and only very rarely varying with a laugh at this life we lead. Thankfully, DM’s production and the stable of contributors provide an arresting mix and the songs prevail (well, except that Black Francis number and that Iggy Pop bit). Dark Night of the Soul is at its best when the guests attentively attune themselves to Linkous’ themes. Wayne Coyne leads off with “Revenge,” an inspired mix of Linkous’ wee-small-hours balladry, Flaming Lips’ existentialism (“No you can’t hide what you intend, it glows in the dark / Once we become the thing we dread, there’s no way to stop”), and Peter Gabriel-esque vocalisms and production. Director David Lynch also graces the record with some unexpectedly captivating contributions, though with his usual abstractions. And there are commendable contributions by Grandaddy’s Jayson Lytle, the Strokes’ Julian Casablancas, and the Shin’s James Mercer (to mention a few of the stellar cast). 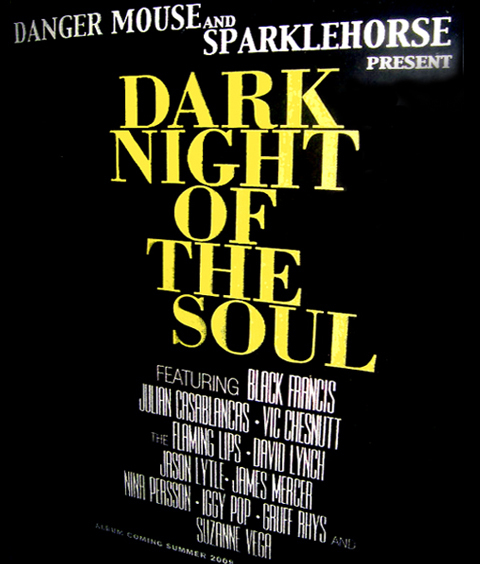 Check out a couple songs from Dark Night of the Soul. Check out the pulsing bassline in the grippingly beautiful “Revenge,” which touches on the complications of vengeful impulses in a relationship and the emptiness of the follow-through. 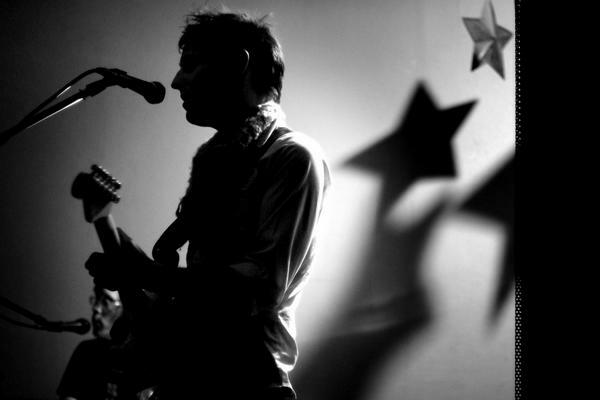 In this ballad, Gruff Rhys reflects on the justness of war or the lack thereof, all staged in a fuzzy psych-country vamp. The plates are spinning, and we are spun. So, we are semaphoring sloth and sluggishness, and resorting to videos (which may or may not have killed the Radio Star). 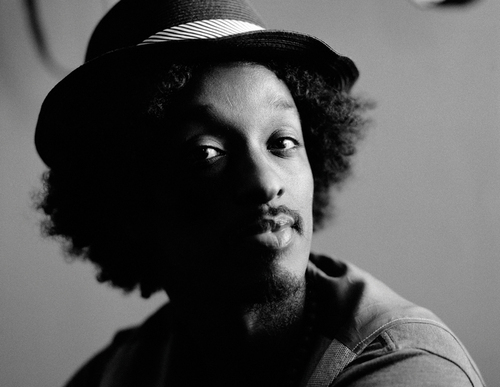 In case you missed it, there are some great videos floating around of K’Naan killin’. Check out those below, but if you can find his entire recent performance on Austin City Limits, we highly recommend. Check ’em out. 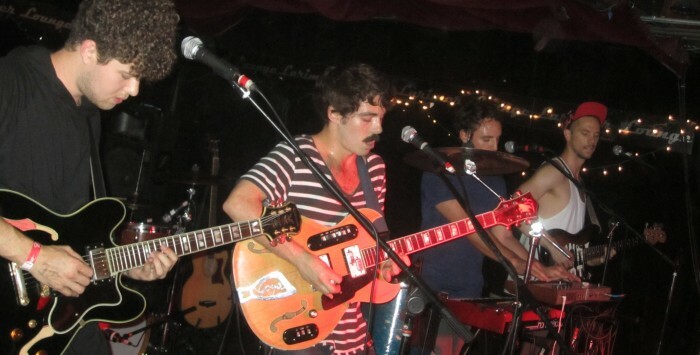 It was a musical, sold-out love-fest at Soho in Santa Barbara on Monday night. The critically acclaimed and popular LA band, Local Natives, brought their mega-melodic songs, gregarious group vocals and engaging instrumentals (drummer Matt Frazier and bassist Andy Hamm provide a phenomenal rhythm section) to Soho and mesmerized the crowd. We know there are some Fleet Fans out there, but we’re saying Local Natives are what Fleet Foxes only aspire to be: in addition to the vocalese, their songs are laden with actual melodies and inventive, driving, dynamic song structures (akin at times to Vampire Weekend and Talking Heads). We’ll withhold judgment, however, on the the Tom Selleck meets Freddie Mercury mustache or two sported by certain band members (note: just because it’s retro doesn’t mean you need to champion the cause). We’re feeling lazy (not to mention these guys have been well-covered elsewhere), so instead of blathering on (guilty, your honor) we spent some time culling the “interweb” for representative videos of their catchier songs done live. Check below to get a good flavor for this very talented band. We hope to see ’em back in Santa Barbara soon. Local Natives opened with their duly-dynamic song, Camera Talk below. They also took to the air with their amiable Airplanes. Check out an electric and an acoustic version below. The most pleasant surprise of the evening was opener, The Love Language, from North Carolina. We had caught their catchy song, Heart to Tell (particularly great live), but weren’t prepared for the emphatic delivery and choice songs of this band. Lead singer Stuart McComb imbued his vocals with serious passion and talent throughout, and the band played with effervescent energy. Drummer Jordan McLamb was perfect both on his kit and with his vocal harmonics, and Missy Thangs (we kid you not) brought great energy and vocals to the set. 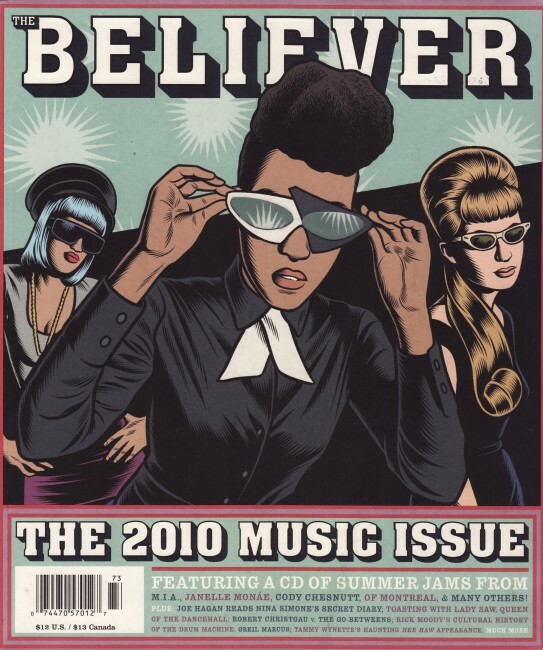 The Believer’s 2010 Music Issue came out recently. This year’s fine Music Issue is curated by Chuck Lightning of Atlanta’s Wondaland Arts Society (comprised of phenomenally talented Janelle Monae, Lightning, Nate “Rocket” Wonder and host of other “Thrivals”). There’s great, soulful music to be found on the enclosed CD that is painted with an optimistic, euphoric backdrop . Check out the first track Self! by Deep Cotton (consisting of Rocket Wonder and Chuck Lightning). We love the TomTom Club/Talking Heads (“Stop Making Sense” reference included) musical reverence and alternately hilarious and hitting lyrics. Great stuff. 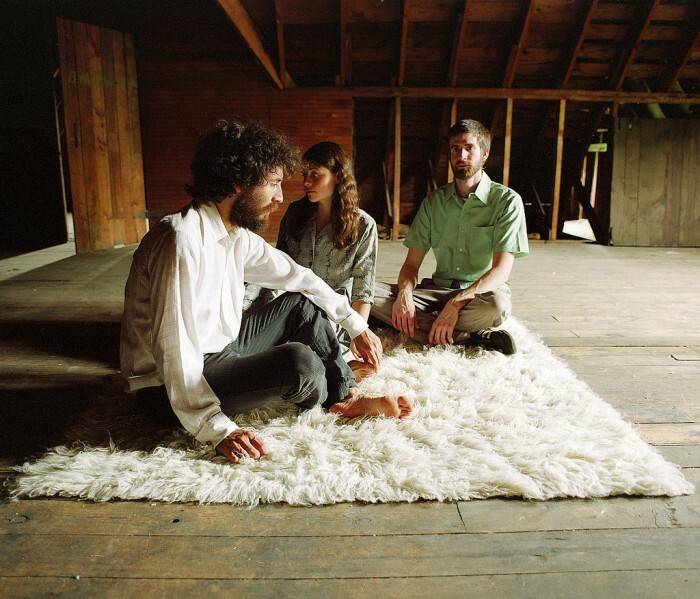 Breathe Owl Breathe are coming to Muddy Waters courtesy of Club Mercy on October 27th. Their song Swimming is a recent favorite in the Lefort household, with its arresting musical anodyne and sigh for simpler times. It also hearkens back to one of our favorite bands, Little Wings, and its leader, Kyle Field (you can hear their song Shredder Sequel here). So imagine our surprise to see that Little Wings will open for Breathe Owl Breathe at the Muddy. We’ll have to see it to believe that Breathe’s Micah Middaugh and Kyle Field are not the same vocalist. Regardless, we are in for a treat on October 27th. Little Wings has played some legendary shows in Santa Barbara, so don’t miss the opportunity to see both bands. Breathe Owl Breathe’s new record, “Magic Central,” will come out on September 28 on Hometapes. In the meantime check out this East Jordan, Michigan band’s song Swimming and then a video of that song performed live. Hosannas have just embarked on their “Gigantosaur Tour” (tour dates listed way below) and are coming to Muddy Waters in Santa Barbara next Tuesday, September 21st. We caught them at the Muddy when they last played there in May. It’s rare when a band can wow you live when you haven’t heard a single song of theirs prior to attending, but wowed we were by the intelligence, complexity and delivery of this band and their songs. We highly recommend you attend next Tuesday at the Muddy, where the up-and-coming Gardens and Villa will open. Touring this time, Hosannas will be comprised only of brothers Brandon and Richard Laws, after a recent lineup change. Coincident with the tour, on October 12th Hosannas will be releasing their new record “Together” (on their own label, Tree Farm, in partnership with HUSH), which was recorded, mixed and produced with John Askew in Portland at Scenic Burrows Studio and Type Foundry. To prepare, you can check out their great new song, When We Were Young, off the new record here. The last time we saw you in Santa Barbara you were going to have your nose re-set the next day after a run-in a few nights prior in NorCal. So how have those kick-boxing lessons and target-practices worked out for you in preparation for this tour? I still owe on those hospital bills… but at least the nose is straight now. In all seriousness we are skipping the venue where that happened. You and your brother (and others) have been building on Hosannas for a few years. How did you get into music and start up the band? Who or what influenced you to begin? Were you guys self-taught or guided? We didn’t have a particularly musical immediate family, I remember getting my first guitar when i was a teen and really into heavy metal. My mom is pretty conservative and I think that initially there was an aspect of rebellion to it… We have both studied music in college and on our own. Richard has been trained classically on upright bass and spent several years playing in jazz groups. I have spent many years in my bedroom making pretty weird pop music. You grew up where, and then did you college or not? We are actually from Northern California (Sonoma County). And I went to UCSB. Were you a Music major at UCSB or did you just take some classes? I was there for 3 years (graduated early) with a degree in Poli-Sci and a minor in Music. Where did Richard college and is that where he studied classical bass and play jazz? Who are your and Richard’s jazz faves, and can you point to any jazz-influenced moments in Hosannas? He studied privately from Mel Graves (who was then teaching at Sonoma State), and before that Richard went to Santa Rosa Community College where he took a bunch of music classes and got his AA. We also both took private lessons for several years. Richard is a more heavily into jazz than I am. I’ve always really liked the stuff by Thelonious Monk and Charles Mingus and less known stuff like Penguin Cafe Orchestra [Lefort: A great British chamber ensemble well worth checking out]. Richard isn’t with me or he would list a dozen or so jazz faves. We don’t really play jazz music, but we are definitely into improvisation, and we’ll be releasing a live e.p. next spring that has some pretty free moments on it. Jazz has always appeared in our music more in the live setting than on record. I’ve read that the band has been influenced by Kraftwerk and Beach Boys, and we hear that. But what other influences, both old and recent, have helped to make up the Hosannas sound? How would you describe that sound? So many influences. Every album I’ve been really into has had an influence. As of late we have been listening to a lot of synth music from the Seventies like Tomita and Yellow Magic Orchestra. I’m also pretty into new electronic music like F! @#ck Buttons [Lefort: What is with all these new F-bomb entitled bands?] and Caribou. Overall there has been a lot of more traditional music mixed in too, a lot of Doo Wop and a great deal of foreign music. A lot of music from India is amazing. A couple years ago I found several boxes of cassette tapes from all over the world. We’ll usually bring 30 or so tapes along for tour and find something inspiring there. The second part of that question is very difficult for me to answer. We have a brand new set for this tour that doesn’t share that much in common with what came before. More a cappella. But also more intense noisy stuff. And along those lines, given your great guitar playing and sound, which players influenced that sound and are there particular current players who influence/inspire you? Honestly my favorite guitar player is Reine Fiske from the Swedish band Dungen. If you ever get a chance to see them play you definitely should go. I really like Neil Young too, but who doesn’t? Are you sure about this Dungen thing? We’re curious about your songwriting process. We read about how you trade off instruments sometimes to write the music (which we’ve experienced as a catalyst at times too). Does the music always come first or is it sometimes lyrics? Either way. We try to write songs with as little ornamentation as possible; just a feeling, a melodic idea and some chords. Everything gets complex and layered later in the process. Are the lyrics usually biographical or fiction? Where do lyrics fall in importance? Is there a particular stanza from one of your songs that you’re proud of? My most recent favorite is a song called “Open Your Doors” that will be on our new record. I wrote it for a friend who was really depressed and the process of writing it impacted me quite a bit. The song is about recognizing a low point in your life as just that and realizing that you can be in control of how you feel and what happens to you. We think we know the worst experience you’ve had on the road, but is there a “best ever” experience live and how so? There are too many amazing experiences to remember them all. I like playing festivals and all-ages shows a lot. We played MFNW last year, and that was a huge party. I also remember playing a show where we had five drummers, and that was really awesome. We are playing a sort of secret show in a cave half a mile under the earth that I have pretty high expectations for. We understand the band has gone through recent personnel changes, and that you and your brother will be playing as a duo on your impending tour. When was the last time you guys toured in this configuration? What will be the positives and negatives of this, if any? How do you see Hosannas’ personnel developing in the future? We started out as just the two of us, but we hadn’t actually played any shows as a two-piece until this summer. We just played a few shows out in Idaho and Washington as a kind of warm up for the tour, and I am really stoked on it being just the two of us. I was initially worried that we wouldn’t be loud enough, but we are playing out of five amps so those fears are long gone. The biggest positive is that we can tour in a car and not have to bring our huge, gas-guzzling van. We’ll save a lot of money and it will be easier on the environment. As far as personnel in the future we have ideas but nothing specific yet. I would like to be able to change up the sound of the band quite a bit from tour to tour. As in, do a tour where you have five or six great singers and make that a focus. And then do a tour with a big horn section and strings. Hosannas is releasing a new record in October. How, if at all, is the new record different from prior releases? We spent a lot more time on it. It’s quite a bit darker than our previous albums. I like to think that it is better. It is recorded better. We worked with John Askew, who is a magician when it comes to making instruments sit in the mix. So we were able to get away with a lot of really dense stuff that wouldn’t have sounded as good had we recorded it ourselves. Is there a particular theme or tact musically or lyrically in the new record? We didn’t really have an over-arching theme musically or lyrically for the album. We did have a method for the process of writing it which was to be as open to collaboration and new directions as possible. What excites you about the new record? It is energetic and we had enough time and instruments at our disposal to make a whole lot of unique sounds happen. As you mentioned, former Santa Barbaran, John Askew, recorded and produced the new record. How was that process? What did John add to the mix? Describe the recording process on the new record. John has a great ear. And most importantly he is very easy for us to relate to musically. He was very open to experimentation and knew how to make what seemed impossible happen. We did all the initial tracking with him at Type Foundry in Portland, and then we did overdubs for a few weeks afterward at Scenic Burrows mostly by ourselves but he would drop in every other day or so and help us get sounds/provide shamanic guidance. Hosannas has just released a new song titled “When We Were Young.” What can you tell us about this particular song and why it’s the first song released? What’s the lyrical bent? We decided on this one for the single because it is the most immediate and also because we wanted something that was positive and energetic. It’s basically a celebration of the fleeting beauty of youth. Can you tell us about the art of side-chaining? I’ll do my best! I’m really stoked on this question! Side-chaining is a method of compression whereby one instrument triggers the amount of compression on another. Compression, for those who may not know, is an effect that reduces the volume of the loudest parts of a signal. Side-chaining, when used drastically, which we like to do, can make some pretty intense pumping rhythms out of instruments that don’t really have them to begin with. For example, if you side-chain a backing vocal with a snare drum track the vocal will pump in and out of volume along with the drums. Can you point to an example of side-chaining that is discernible to the ear? One of our next singles (not sure what order we are releasing them) is called “Multi-Chamber American Future” and that song is built around a groove where the synth bass (my foot-pedals) are side-chained to the bass drum. What are you looking forward to/dreading during the upcoming tour? Do you have a favorite venue? I am looking forward to Canada. We have never played there and we have about a week’s worth of shows in Ontario and Quebec. I’m not dreading anything. I’m not sure I have a favorite venue. What is your favorite record and song of all time, and what is the best concert you have ever attended? I have seen Dungen live twice and both times it has been incredible. I also really love seeing Akron/Family live. We’ve had the pleasure of getting to play with them a couple times this year, and they always have such good energy. And finally, we were asked to ask how the Hosannas groupies (“Hoopies”?) are out on the road? I don’t know if we have any groupies. But we do enjoy the baked goods that we have been given. If you are looking for straight-ahead, unadulterated pop music in which the lyrics deftly dissect relationships with heavenly harmonies, look no further than Mates of State. They have set that sub-genre’s standards extremely high, particularly with their last two records, “Bring it Back” and “Re-Arrange Us.” This married duo (originally hailing from and hailed on in Lawrence, Kansas before relocating to San Francisco) is hyper-melodic, inventive and the perfect accompaniment to the breakup or breakdown of relationships. 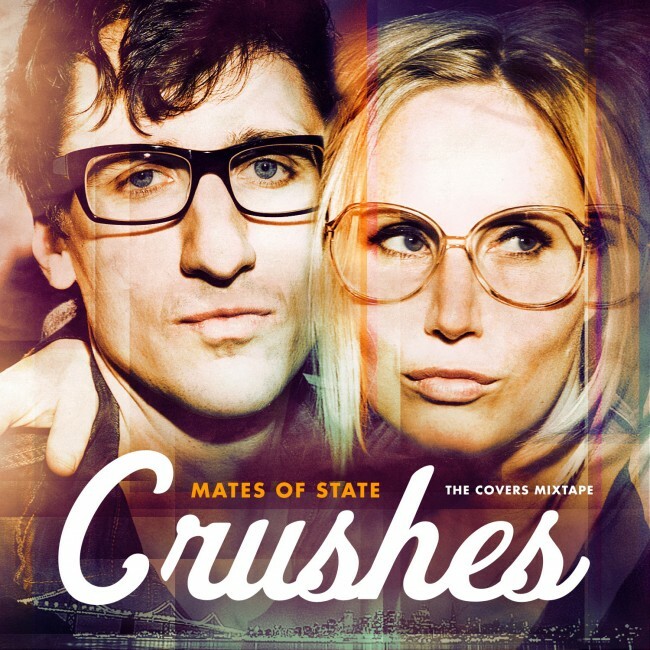 They have just jumped on the covers bandwagon by recently releasing a new record entitled, “Crushes: The Covers Mix-Tape.” They cover everyone from Tom Waits to Nick Cave to Death Cab to Belle & Sebastian to Mars Volta. But perhaps the best song of the new record is the great Girls’ Laura. Check it out and then check out a couple of our favorites from their earlier records. “Bought a home we bartered right. Two kids, two car delight. Posed pictures on the walls. Small talk in the bedroom halls. Can’t make it home tonight. Go to sleep but leave the light. I pretend to make a call. Loose talk into bedroom stalls. Oh, oh, oh is my only offer. We love Running Out and its throw-it-all-away atmospherics, not to mention the heights of the chorus. (Get on, or get out). How am I not put at ease? I will wash off mine with rolling waves of worry. It doesn’t have to feel so wrong. Bethany you’re riding this one to its grave (the gates). You never understood the difference between someone’s beating and refusal to trade. None of which will grow the same. Now am I supposed to fake it? Now are you so poised, at ease? Think long, think, think long, think think. Can you feel it surround me? I think it’ll drown me. And I wonder how you could say that we (you) really owe (us) anything. Think long, people. No sudden moves. And finally, for you parents out there, check out Nature and the Wreck in which Kori sings over delicate piano about the couple’s baby and the aftermath of a car wreck the family survived together. 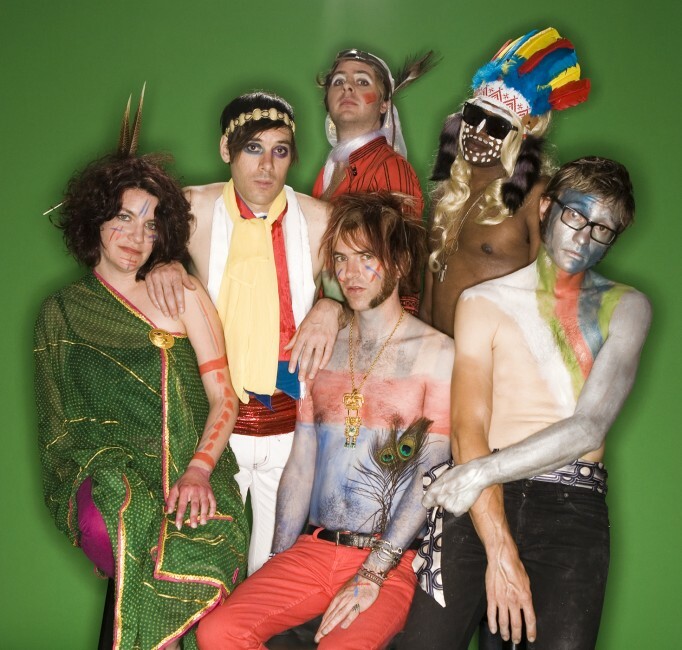 It’s hard to believe that the “band” Of Montreal (out of Athens, GA, natch) has been around for over a decade and has just released its 14th record, “False Priest,” which is possibly its best. Leader Kevin Barnes has taken the band all over the proverbial map stylistically over the years, travelling all the way from lo-fi indie pop miniaturist to glam-funk maximalist, and all points in between. 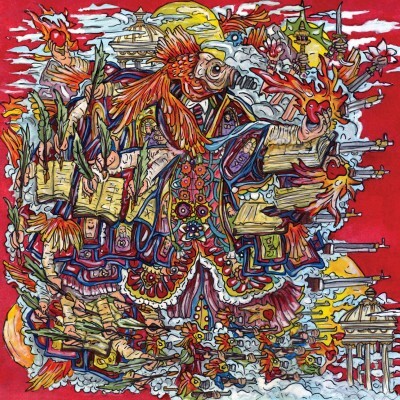 Of Montreal has their positives (phenomenal pop sensibilities, musicianship and delivery) and negatives (obscure, decadent, over-sexed, and debased lyrics–when will they put out a foreign language version so we aren’t distracted from the worthy music??). Unlike on prior efforts , the songs on False Priest are fully realized, focused and produced (thanks we suspect to co-producer Jon Brian). And Barnes’ lyrics are less bizarre and instead intermittently soulful and comedic. And as usual with this band, the music is stunningly good. On False Priest they audaciously adapt a mix of Prince, 70s soul and prog, and with Janelle Monae and Solange Knowles added to the mix you’ve got a musical force to be reckoned with. Sometimes with this band it’s a single instrument that completely demands your attention. We hope you’ve got a sub-woofer or some good headphones to check out the stellar bass line in the sweet indie-pop of Coquet, Coquette (not to mention the beguiling drums and guitar). Load up the bottom big-time. Should get you movin’ and out of any foggish funk. Dang that’s good. 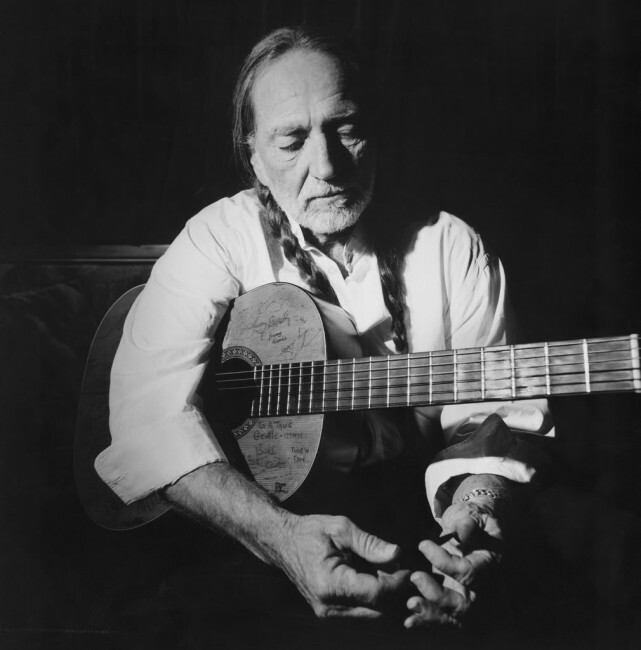 Willie Nelson (along with the other “Outlaws”) re-introduced the world to real country music when it was needed in the mid-70s with his record, “Red Headed Stranger” and it’s haunting hit song, Blue Eyes Crying in the Rain. We first saw Willie (and Family) at the Santa Barbara County Bowl touring behind Red Headed Stranger soon after its release. We were instant converts and have remained fans of virtually everything he’s done over all the subsequent years. Willie has come to define real country music for many, but has also lent a soulful hand to other genres and artists over the years. Many know and love his songs, unique vocals and nylon-guitar playing, and the backing of his great band and their bountiful shows. Debate is inevitable when one tries to select just one song of Willie’s to represent his Real Country gestalt. You undoubtedly have alternative picks. We decided to go back to the core and eschew the big band or stringed recordings of his great songs. We instead chose the original two-track demo (from 1962) of the song Undo the Right, which was written by Nelson and the seminal Hank Cochran. With just Willie on vocals and guitar, and Jimmy Day on stunning, atmospheric pedal steel guitar, Willie soulfully conveys the loss of “the right” with his understated, yet perfect, delivery.